Home / Microsoft Word / How to Create Custom Table Templates in Microsoft Word? A Template is a time saving utility. Even though Microsoft Word comes with many table styles that give your documents a professional look, you may not always be able to find what you are looking for. 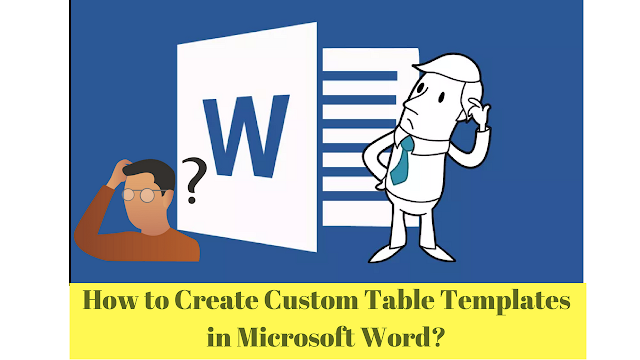 But don’t worry, after reading this article “How to Create Custom Table Templates in Microsoft Word?” you can do it. For instance, if you work with many tables, you can save a custom table format and use that format later when you formatting table. It is very easy and also it will save lots of time. 1. Open Word and open the document that you want to edit. 2. 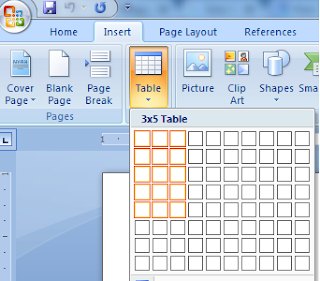 If you have not inserted a table, go to Insert tab > Table to create a new one. 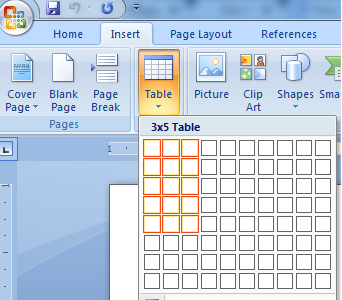 The new table will be inserted into the current page. 3. Select the table, switch to the table’s Design tab, and apply a style that you like to the table in the Table Styles section. By default, not all styles are shown. You will have to click the small arrow button at the bottom right of the section to view them all. 4. At the bottom of the Table Styles menu, you will find an option to modify the current table style and another one to create your own table style. Choose the one that suits your needs. 5. 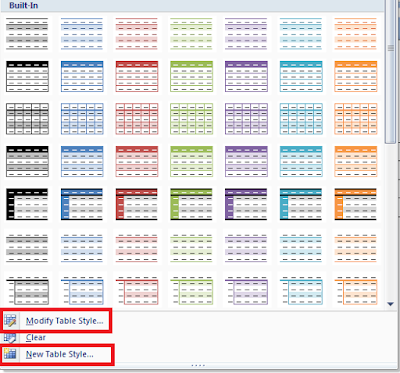 In the Modify Style window, you will find all options to format your new table style. Customising options range from font format, table border, text alignment, and overall table theme. 6. By default, the changes will be applied to the whole table. You can, however, customise specific parts of the table by choosing it from the Apply formatting to menu. Word offers the ability to customise the header row, total row, first or last column, odd and even banded rows or columns, and top or bottom/left or right cells. 7. Once you are done editing the style, give it an appropriate name, and click OK. 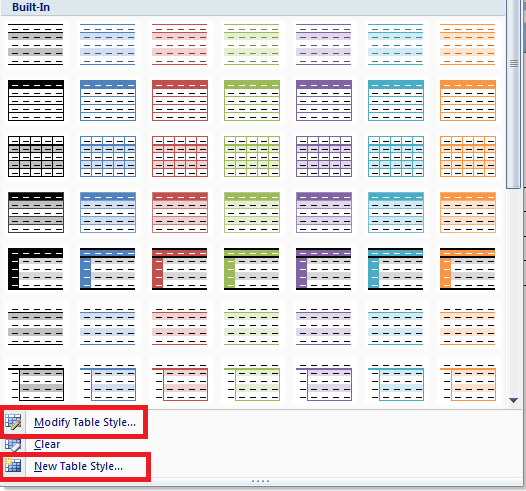 Your new table style is now listed in the Table Styles menu. You can select that to format any future tables in one click.